Life is better together and there's no better way to live life than in communion with Christ and our church family. 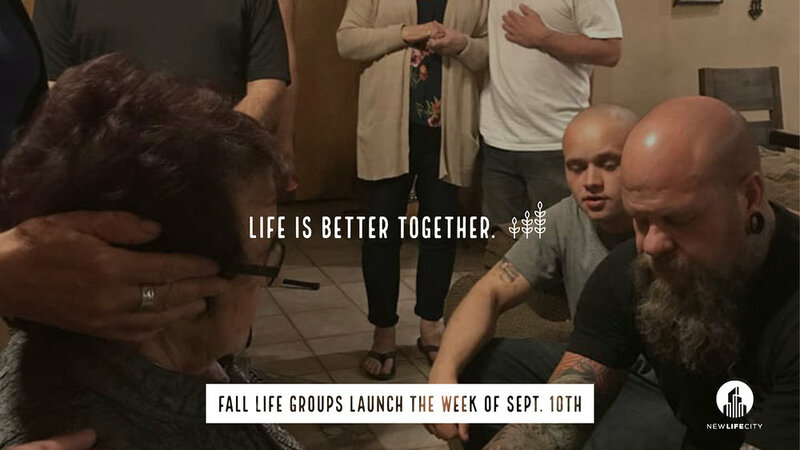 Our Life Groups are re-launching during the week of Labor Day, Sept. 10th. Many of our groups are returning this year and we're also launching new ones. There are plenty of opportunities to get involved with a Life Group at New Life City. If you haven't already found a group, check out our groups below. Click here if you don't see the list below.